Where would the film industry be without books? And how many screenwriters manage to do justice to the ones they adapt? Tough task, I know, and that’s why I tend to avoid movies based on favourite books – never seen The Kite Runner, for instance. Although it can work the other way – I didn’t read The English Patient for years, put off by the film, but when I finally got around to it I found it to be much, much better then the movie. Some adaptations are extraordinarily good, though. Looking for something to watch this weekend, I dug out a DVD of Sally Potter’s 1992 Orlando, a freebie in the days when newspapers were using them to get our attention. 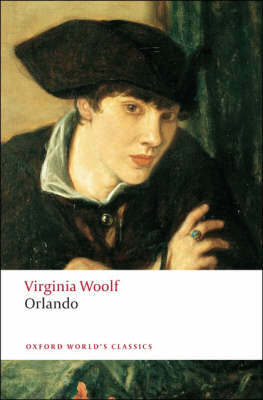 I’m not a Virginia Woolf fan although I have read and enjoyed the book, a feminist classic and a love letter to Vita Sackville-West according to her son. The eponymous protagonist begins as a young nobleman in Elizabethan England and ends as a young woman three centuries later in 1928, the year the vote was finally extended to all British women over twenty-one, although the movie takes her up to the 1990s. This was my fourth viewing of the film and it still transported me. It’s a sumptuous production full of gorgeous tableaux and archly comic eccentricity – the late Quentin Crisp as a raddled Elizabeth I surrounded by simpering sycophants, Jimmy Somerville’s round-faced golden-robed angel, suspended in the sky over Orlando singing in his trademark falsetto. Tilda Swinton is a fabulous Orlando, charmingly gauche and suitably androgynous, seamlessly changing gender after a century or so. Sally Potter conjured up sets of breathtaking beauty and all, apparently, for a song – I heard somewhere that the whole film cost as much to make as a dinosaur’s sneeze in the contemporaneous blockbuster, Jurassic Park. Probably apocryphal but it’s a great story. For my money, it more than did justice to the book and I’m sure I’ll be giving it a fifth airing. How do you feel about books based on films? Are there any that worked well for you? This entry was posted in Random thoughts and tagged Jimmy Sommerville, Orlando, Quentin Crisp, Sally Potter, Tilda Swinton, Virginian Woolf on 13 January 2014 by Susan Osborne. I haven’t seen Orlando but will definitely have to get hold of a copy now! Invariably I find films don’t measure up to the book – in fact I can’t think of a single example of a film being ‘as good’ or ‘better’ than the book. And like you, I’ve avoided watching The Kite Runner because I enjoyed the book so much! You’re in for a treat with Orlando. There are two other films that I can think of: Lore, based on Rachel Seiffert’s The Dark Room and The Turn of the Screw but I think that’s because I don’t get on very well with Henry James. I didn’t know about Orlando before the movie came out. I haven’t watched the movie but I finally read the book last year and loved it. I want to watch the movie because of Tilda – she’s perfectly cast for that part. One of the worst things about a disappointing adaptation is that you’re stuck with someone else’s images in your head, I think. I hope you manage to track down an Orlando DVD, Christina. You’re right, Tilda Swinton was the perfect choice. Ooo I read this v recently as part of my Woolf course . I MUST get hold of a copy of the film. It’s an absolute treat, Helen. 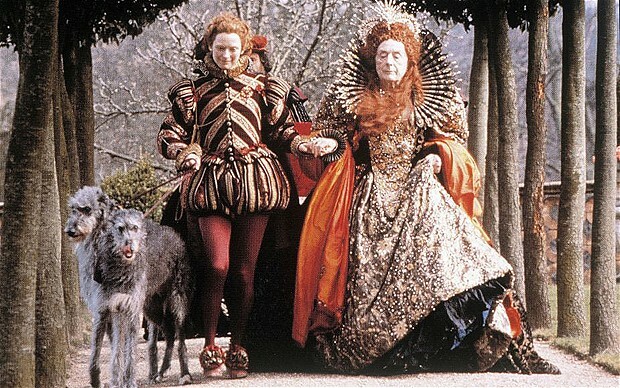 Gorgeous backdrops and Tilda Swinton is a superb Orlando.